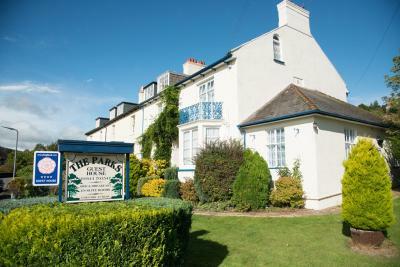 Lock in a great price for The Parks Guest House - rated 9.4 by recent guests. We were immediately made to feel welcome. Chris and Sue are fabulous hosts. The breakfast was amazing, award winning rightly so. The family room and twin room we all had were great. 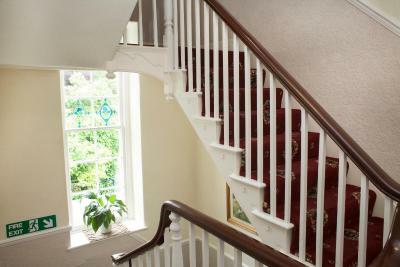 Both on the second floor and with all the facilities you need. The extra attention to detail to make you feel welcome was fab. The owners were very pleasant and friendly. The room was good with a very comfortable bed. The facilities in the room were excellent. Everything was spotlessly clean. Fantastic breakfasts! Very warm welcome. Appreciated the lovely mince pies and shortbread when we arrived. Perfect Location. Exceptionally clean, and very comfortable. Hosts welcoming and friendly. Excellent breakfast. The bed was very comfy, had a brilliant nights sleep, cooked breakfast with coffee was delicious. Very friendly personal, very good breakfast. We had a great stay. Our son forgot his stuffed animal and it was sent back to us. Really great. Pleasant touches like welcome tray and breakfast range. The basic breakfast is your normal english breakfast. As a bonus you can have eggs benedict for no extra cost. The marmalade and the other jams are very good. We had an attic room and they gave us a fan because it was hot. With two windows open and the fan we were comfortable in the family room. Good location, good walk down the beach and there is a Tesco supermarket with gas 9 minutes from the B&B. You can hike along the coast to the other towns/villages, no need to take the car out. 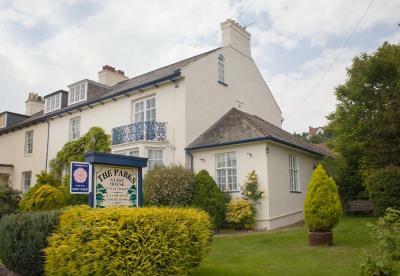 Set in an elegant Georgian building, The Parks Guest House is situated in a quiet area of Minehead, on the coastal edge of Exmoor National Park. It offers hearty breakfasts. The bright and airy bedrooms are individually decorated, and each has free Wi-Fi access, TVs with DVD players and a selection of DVDs for all ages. Tea/coffee making facilities are also included. The modern bathrooms feature a hairdryer and fresh, fluffy towels. Guests can enjoy a traditional Exmoor breakfast each morning, with vegetarian options also available. 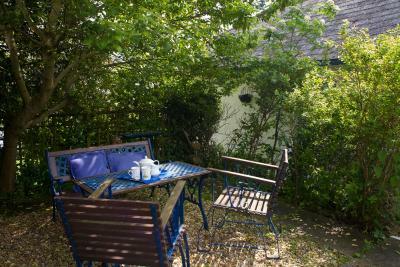 The Parks Guest House is situated on the lower slopes of North Hill, just a 10-minute walk from the famous West Somerset Railway. 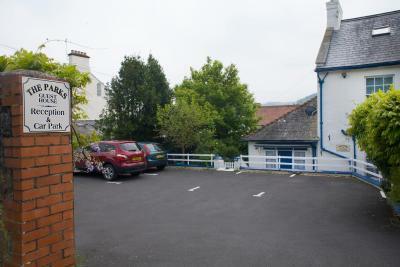 Free parking is available, and Minehead Beach is half a mile away. 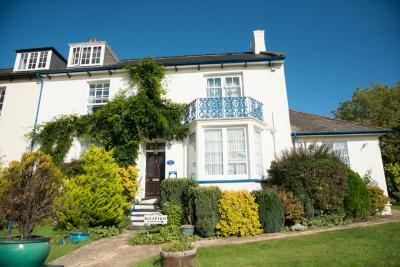 This property is also rated for the best value in Minehead! Guests are getting more for their money when compared to other properties in this city. 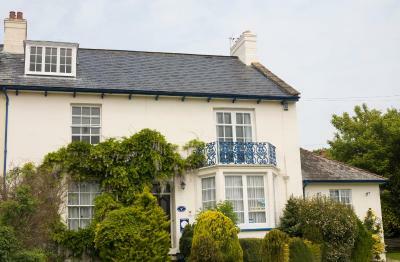 The Parks Guest House has been welcoming Booking.com guests since 24 Oct 2011. When would you like to stay at The Parks Guest House? 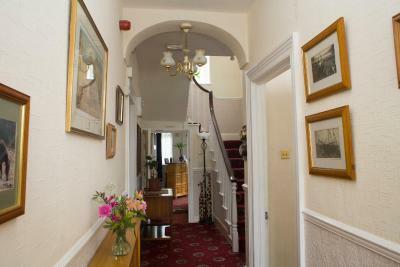 A double room on the first floor with TV, free WiFi, tea/coffee making facilities and an en-suite bathroom. A double room on the first floor with a super king-size bed that can be split into twin beds if guests prefer. Additional amenities include a TV, free WiFi, tea/coffee making facilities and an en-suite bathroom. 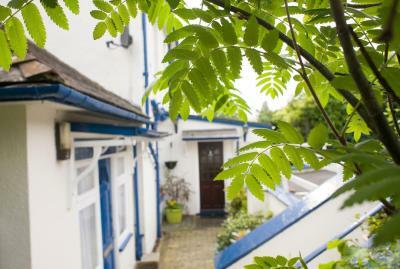 A twin room on the second floor with TV, free WiFi, tea/coffee making facilities and an en-suite bathroom. A family room on the second floor with a double bed and 2 single beds, TV, free WiFi, tea/coffee making facilities and an en-suite bathroom. House rules The Parks Guest House takes special requests - add in the next step! All children under 12 years are charged GBP 10 per night for extra beds. The Parks Guest House accepts these cards and reserves the right to temporarily hold an amount prior to arrival. Please note that dogs can be accommodated in some rooms and by prior arrangement only. Guests travelling with dogs are kindly requested to contact the property prior arrival. Sleeping in a strange bed wasn’t as comfy as at home, but then that’s I guess the same wherever you stay. Very comfy Bed and good tv.